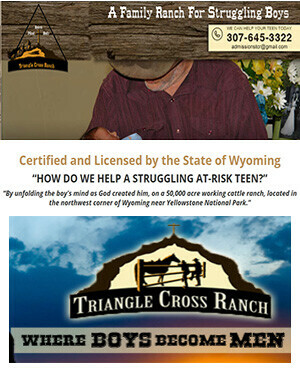 Triangle Cross Ranch uses many services and approaches in order to customize a high quality system of care for each boy who enters our program. 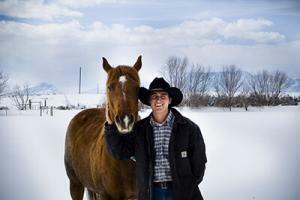 Of the many services and interventions available to the at-risk teens who are struggling with substance abuse issues, we find that our use of Conflict Resolution for Recovery and Relapse Prevention has proven to be an indispensable tool in helping young men develop healthy coping mechanisms, identify “use” triggers, and improve their styles of communication when in a crisis situation. Conflict Resolution for Recovery and Relapse Prevention is a 12 session course that was designed by the National Association of Addiction Professionals (NAADAC), with whom Triangle Cross Ranch is an active member. Conflict Resolution has been proven to help reduce the occurrence of relapse within its participants by offering them insight into the emotional and behavioral reactions that many addicts exhibit when experiencing tensions in their personal relationships. The boys who take the Conflict Resolution course will learn how to identify and manage their anger, how to create healthy relationship dynamics by having a collaborative attitude, how to resolve arguments/fights by using effective styles of communication, and how to have “deliberate,” rather than “instinctual,” reactions to conflict. Triangle Cross Ranch uses Conflict Resolution for Recovery and Relapse Prevention in order to initiate the long and difficult process of re-programming the behavioral and emotional patterns of those who are at-risk of becoming addicted to drugs and alcohol. As many studies have shown, there is a common tendency among those struggling with substance abuse issues to become angry and embittered when they find their sobriety: this is often referred to as becoming a “dry-drunk.” Triangle Cross Ranch, being a recovery-oriented practice, believes that the “dry-drunk” phenomenon demonstrates how treating addiction cannot be limited, in focus, to the cessation of drug and alcohol use alone. It is our belief that treating addiction requires an approach that also rehabilitates the cognitive, emotional, and behavioral processes of those suffering from substance abuse issues in order for them to have a successful re-integration back into society. Triangle Cross Ranch uses Conflict Resolution for Recovery and Relapse Prevention to offer our boys additional tools and skills that they will need in order to live a healthy and self-directed life when they return home. Many of the boys who have taken the 12 session course have commented on how Conflict Resolution helped them repair damaged relationships with parents and siblings; others have said that Conflict Resolution enabled them to determine which friendships have been negative and toxic influences in their lives. As part of Triangle Cross Ranch’s recovery-oriented system of care, Conflict Resolution for Recovery and Relapse Prevention is a program service item that will improve your son’s emotional maturity and will dramatically help him develop and maintain healthy personal relationships.